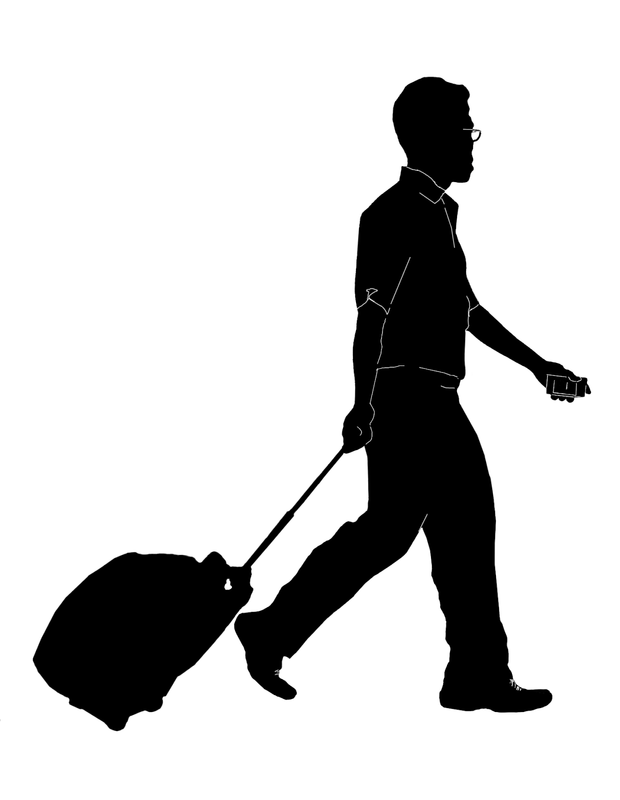 Silhouettes of men of different nationalities carrying luggage - backpacks and trolley bags. 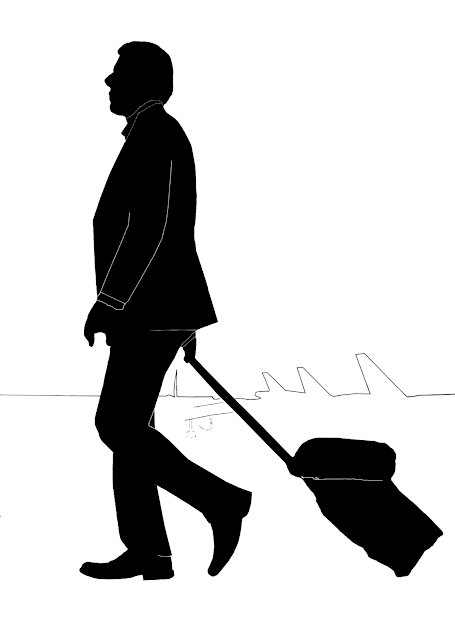 A silhouette of an Asian man with a trolley bag. In one hand he is carrying a cell phone and with the other pulling the bag with the trolley. He is wearing loose pants and a shirt. 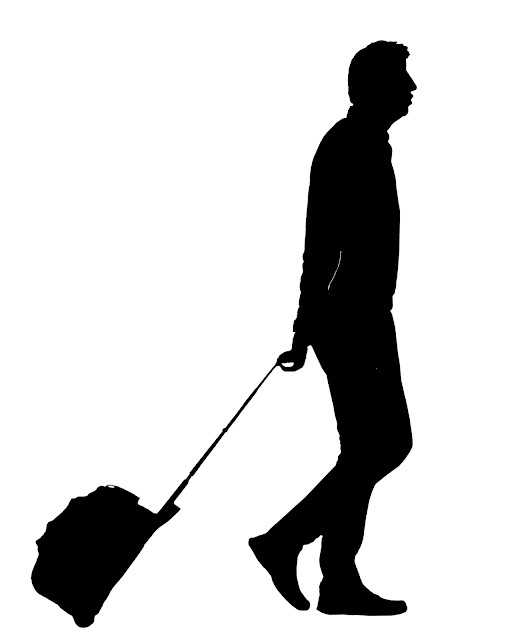 A silhouette of a tall man of middle eastern or East European origin dragging a trolley bag. A silhouette of a man in a jacket pulling a trolley bag. In the background there is an outline of aircraft. You might also like Silhouettes of Travelers or men with bags or Young Women Walking Silhouettes or Travelers or Women with bags Silhouettes or Silhouettes of Women in Uniform or try the label "Silhouettes" for all the silhouette images which include that of places, important world monuments and also more silhouettes of people.